The demand for qualified IT professionals is higher than ever, and having a CompTIA certification on your resume is essential for landing a high paying IT job. 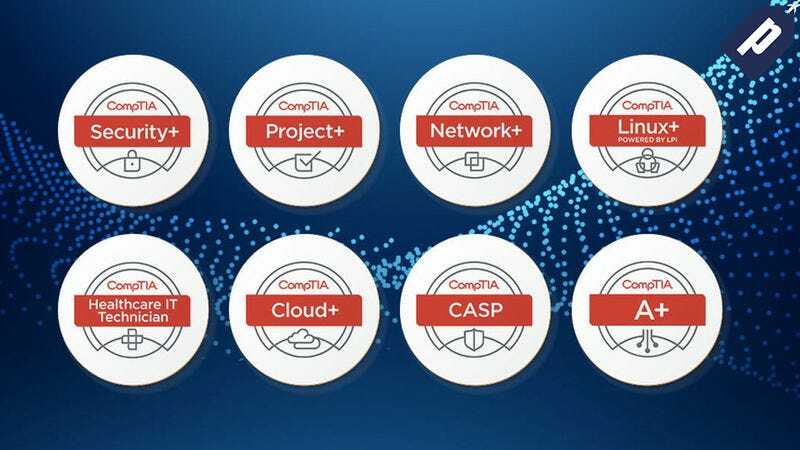 The Ultimate CompTIA Certification Bundle gets you in-depth training guides for all the latest CompTIA exams, and you can get it today for just $60. A certification from CompTIA, the highly-acclaimed IT industry association, is essential for anyone interested in a reliable career as an IT professional. If you’re serious about landing a high paying IT job, this training bundle will help you pass the certification of your choice. The combined value of all courses is over $2,500, but you can get the entire bundle today for just $60.